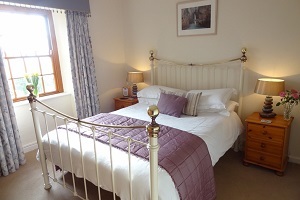 Our newly decorated bed and breakfast rooms at Trelew Farm are spacious and well appointed, and both have en suite shower rooms and a high level of comfort. 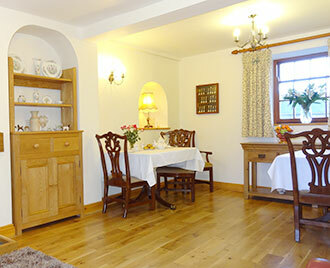 Choose from a double or triple room each having a 19 inch flat–screen colour TV and tea and coffee–making facilities. All beds have very comfortable premium–quality mattresses. In the en suite shower rooms, you will find a generous sized shower large enough for two, together with a washbasin and toilet and a complimentary selection of toiletries. From the windows are views of the garden leading to the countryside beyond. 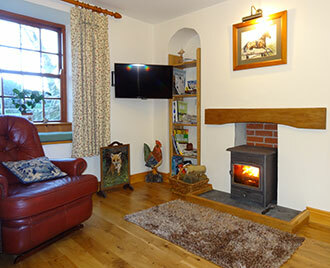 Rooms are centrally heated during the cooler months of the year. 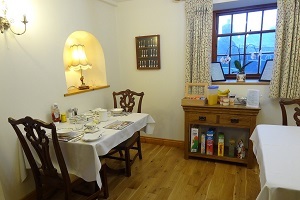 Enjoy breakfast in our dining room with various options, including a full English breakfast or smoked salmon and scrambled eggs, using our own fresh farm eggs and very tasty bacon and sausages from a local butcher. Jams and marmalades are also home–made. 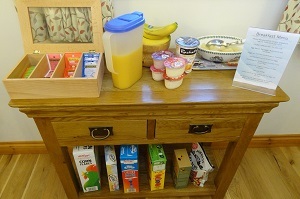 All diets can be catered for, just let us know your requirements in advance of your stay. 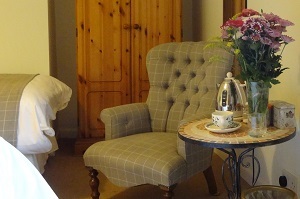 The guest lounge has books and maps of the local area with information on local attractions, events and facilities. You can enjoy cream teas in the garden after taking a walk to Boscawen-un stone circle, which is situated right here on the farm. The garden is available for our guests to relax in and unwind after a busy day on the beach or visiting the many sights here in the far west of Cornwall. We have lots of information on the local area, so enjoy a refreshing drink and plan your next day out during your stay. 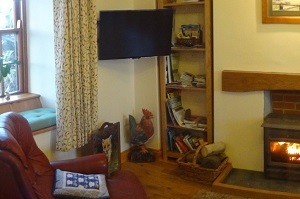 Complimentary wireless broadband is available in the farmhouse for guests bringing their own laptop. Please ask for details when you arrive. 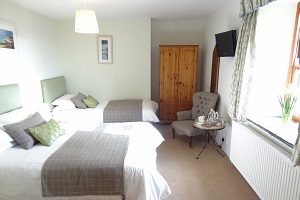 We have plenty of parking and are just a few minutes drive from the main A30 road to Land’s End.